Aerial Tram climb gently through the rainforest, offering endless views during their mountainous ascent. 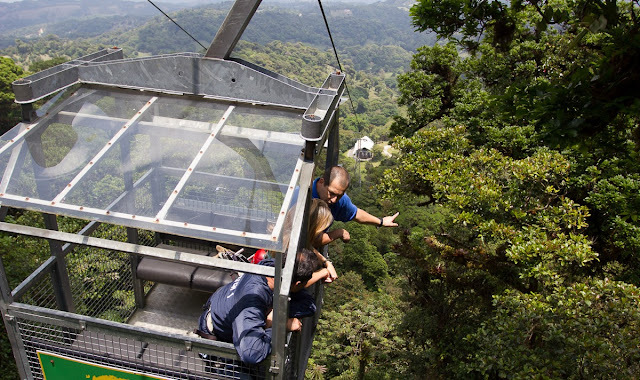 This tour is perfect for people who want to adopt a different approach to admire nature, without much physical effort, but still be in place where natures exhibits all its magic. Our guides will point out the different characteristics of the flora and fauna and other interesting facts in this extraordinary tour. 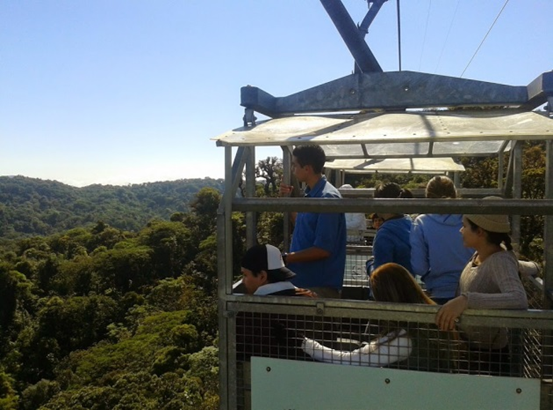 Travel with Sinwatours and this wonderful Tram will transport you to the highest mountains where you can reach an extraordinary observation platform at the highest point of the reserve, where you can enjoy the view and with lots of birds. identify and explain in great detail. The Distance in this extraordinary route is 2600FT. 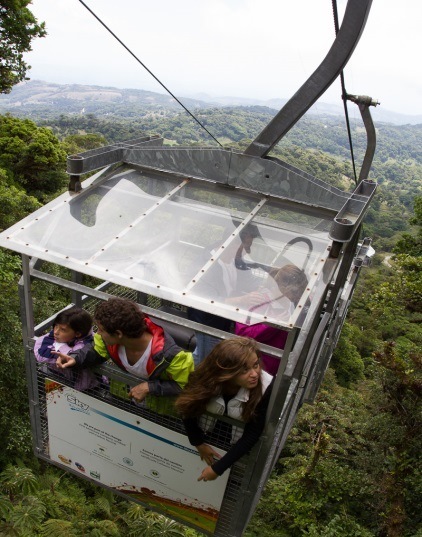 (800 m), we have 6 gondolas, in each gondola there is capacity 6 people, the Winds go up to 50 m / h (80 km / h) the landscape contemplated is the Continental Division, the average temperature is 65ºF. (19 ° C) with an altitude of 5250ft. (1600m.) And an elevation of 570ft. (175m.). Duration of the tour: 1.5 hours.